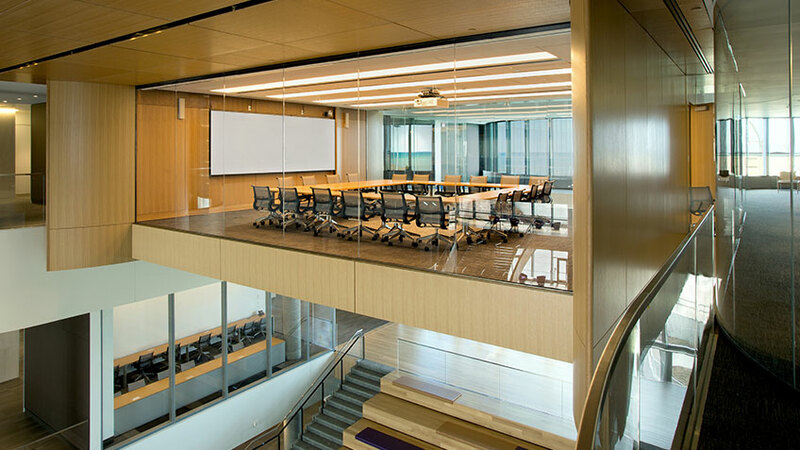 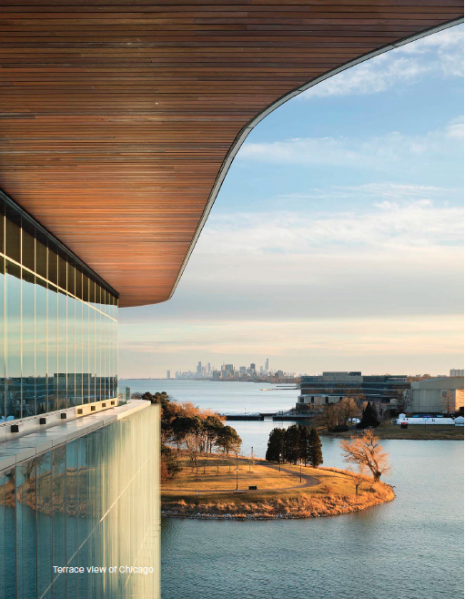 The Kellogg School of Management‘s new Global Hub has opened at Northwestern University. 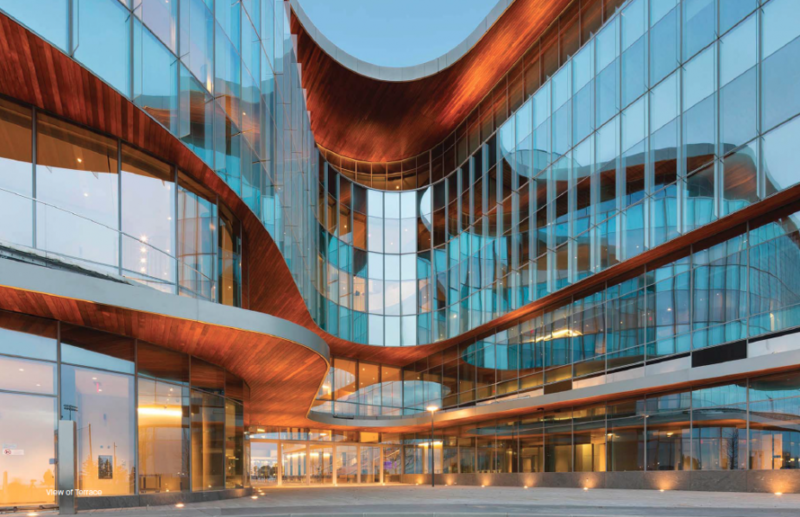 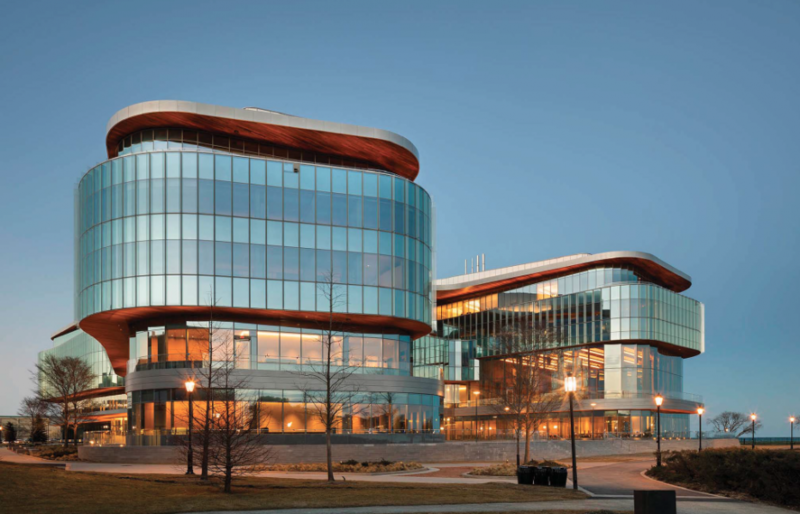 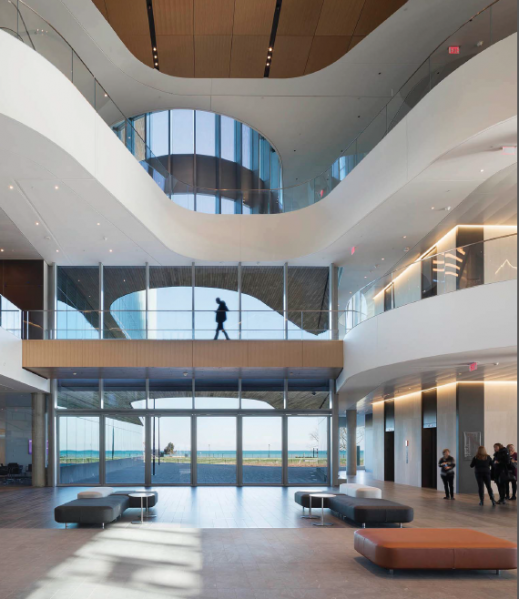 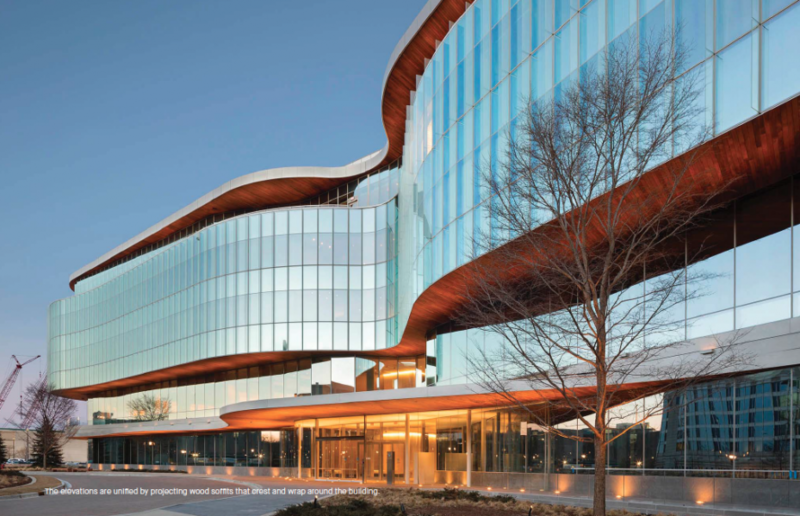 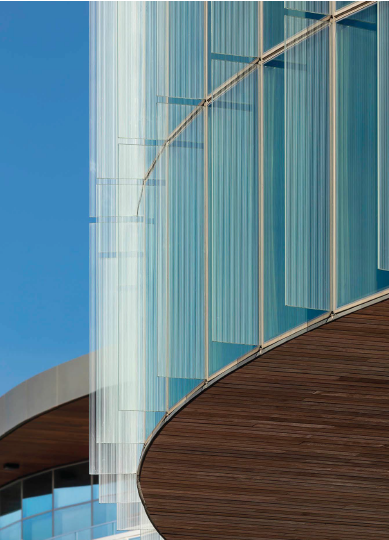 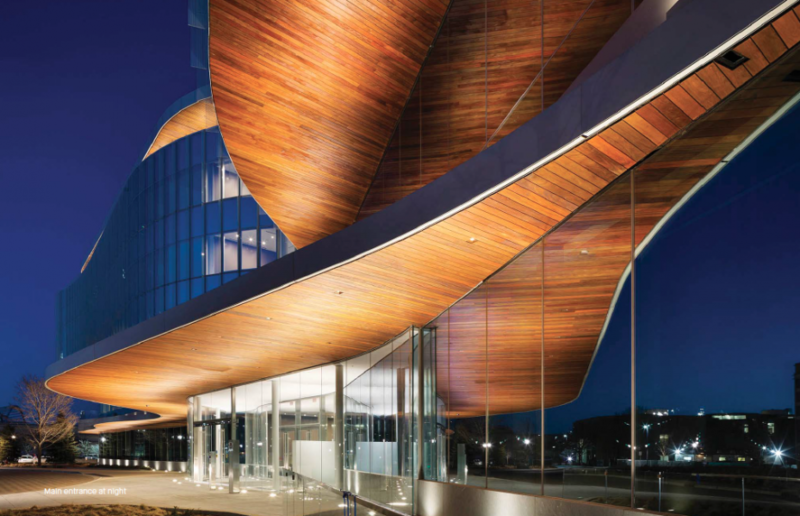 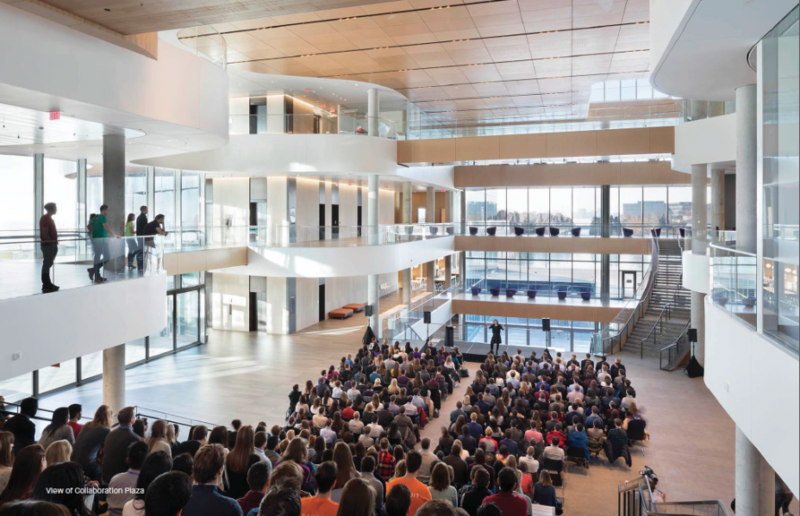 Designed by KPMB Architects, the 103-foot-high, 410,000-square-foot building contains flexible classrooms and common spaces, and can accommodate any teaching style or requirement. 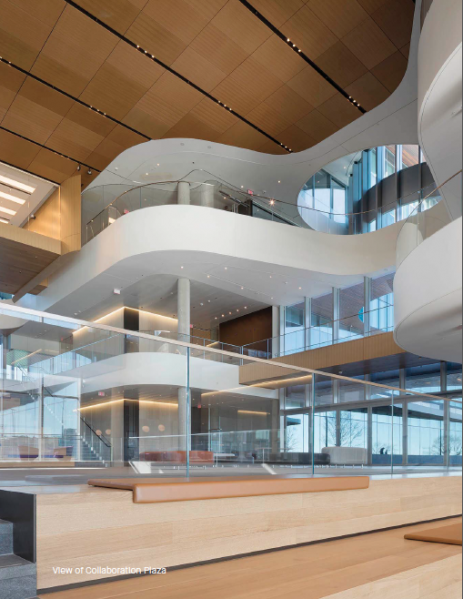 Office layout and locations promote cross-functional connection and collaboration, while its emphasis on green technology and energy conservation ensures the building’s long-term sustainability and efficiency. 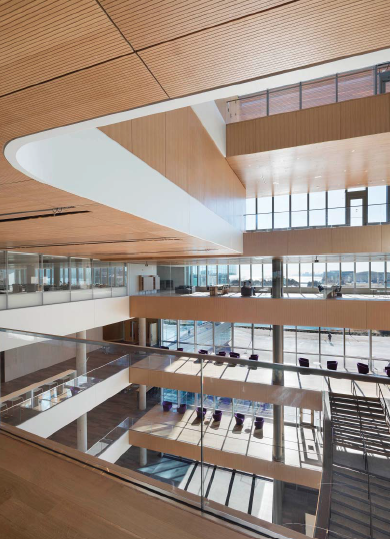 The Global Hub is also one of the most eco-friendly facilities on campus, on track for LEED Gold Certification thanks to a geothermal field for heating and cooling needs, triple-glazed exterior windows for more efficient heating and cooling, automated window shades for sun and shade control, low flow plumbing fixtures to conserve water, and a ground water reservoir for landscape irrigation.